Along with remarkable new golf, this New Zealand golf vacation package includes the marvel of travel to New Zealand with its diverse and striking landscape. The country seems to change around each corner, offering panoramas filled with natural beauty. 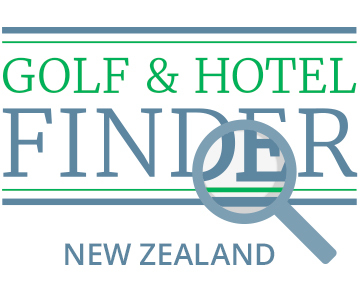 In addition to playing golf in New Zealand you can also embrace and enjoy the best in New Zealand travel. Experience every imaginable landform, including vast snowcapped mountain chains, steaming volcanoes, sweeping, rugged coastlines ... Read More. deeply indented fiords (such as the breathtakingFiordland National Park) and dense, lush rainforests. Comparable in size to California or Japan, New Zealand has a population of just four million making for a refreshing change of pace. As a people, the Kiwis are among the most relaxed and engaging in the world. Visitors are easily befriended. The exotic locales sprinkled across the nation feel like home. The lodges sprinkled throughout New Zealand are captivating and comfortable, enchanting and endearing, opening the windows to new horizons and providing a respite certain to recharge your body, mind and soul. Set amid natural beauty, varying from rustic to elegant, these lodges are memorable for their taste and variety. It is no wonder that thrilling golf is abundant in such a place. From traditional to modern, links to parkland, more than 400 courses exist today, with roots dating to 1871. There are classic layouts like Paraparaumu Beach Golf Club near Wellington which was opened after World War II as a links style masterpiece. Royal Wellington, considered one of the finest parkland courses in New Zealand, is perched alongside the Hutt River near Silverstream. The club was founded in 1895 but the current course was redesigned in 2013 by Greg Turner and Scott Macpherson and has proven to be a stout championship test, playing host to the Asia-Pacific Amateur. Local hero Sir Bob Charles, the 1963 Open Champion, has authored perennial favorite Millbrook offering a truly unique golfing experience set against the stunning alpine backdrop of The Remarkables mountain range. The Hills is carved from the earth, meandering through lakes, waterways and wetlands areas, sprawling across 500 acres with dramatic elevation changes, cutting through a glacial valley and featuring everchanging sculptures dotting the property. Jack’s Point is also nestled among The Remarkables, offering delightful views of Lake Wakatipu and located only 20 minutes from downtown Queenstown. Kinloch Club was designed by Jack Nicklaus to resemble the great links courses of Ireland and Scotland. However, instead of offering views of the ocean, golfers can admire the beauty of Lake Taupo, which is New Zealand’s largest freshwater lake. On the South Islands, Christchurch is the second-oldest course in the country with a tradition dating to 1873. The legendary six-time Open champion Peter Thomson redesigned the layout in 2011. In the same region, Clearwater has played host to international golfing superstars in both the men’s and women’s game. Lydia Ko shot 61 on the course in 2015! Golf and wildlife co-exist in harmony at Wairakei, which brought to life the vision of owner Gary Lane, combining a world class course on a sanctuary where “kiwi chicks” and other birdlife is safe to carry on predator-free. Kauri Cliffs in Northland provides remarkable stunning views of Hawke’s Bay and its sister course, Tom Doak’s remarkable Cape Kidnappers in Napier were instantly thrust into the world 100 from birth. The combination of unforgettable golf and spectacular scenery are responsible for drawing golfers from around the world to the region. These two courses simply must be seen to be appreciated. Wherever you play, you will be captivated by one remarkable landform after another. Glaciers grind their way down the Southern Alps. Lake Taupo, located in the center of the North Island and formed by an ancient volcano, is neighbor now to a pair of active mountains – Ngauruhoe and Ruapehu. The pristine lake is prized worldwide for the quality of its trout fishing, legendary for their condition and size. The Tongariro River at the southern end of Lake Taupo is one of the best fly fishing trout rivers in the world. Hawke’s Bay is a sunny, dry, Mediterranean-style home to red wine, glorious beaches, and lively celebrations of Matariki, the Maori New Year. Milford Sound is Rudyard Kipling’s “Eighth Wonder of the World”! Bats are the only land-dwelling mammal native to New Zealand, joining marine mammals such as dolphins, seals and whales. The nation is known as the seabird capital of the world with several rare species like the bonded rail and the spotless crake. Even still, many of the birds are flightless, which is interesting in its own right. Of course, any trip to New Zealand also provides the delightful opportunity to sample its vast array of wines. Marlborough is the largest of the 11 distinct major wine growing regions, with many sub-regions beginning to develop as well. The Marlborough region received global recognition in the 1980s for the sauvignon blanc it produced and is unique for enjoying a combination of cool temperatures, high sunshine, low rainfall and moderately draining soil. Most of the regions are found on the eastern coastline of the North and South islands, close to the mountains where they can flourish under consistent and plentiful rainfall. New Zealand is a land of wonder and beauty. The wide, open spaces and relaxed pace at which the natives live will provide a enthralling and fulfilling trip, certain to prompt a desire to soon return to the lovely land of Kiwis. Priced Entirely Online in 90 Seconds. Or Less.